Ever thought what 2018 have in store for you? What’s new you are going to achieve? New Job, New Partner, New City? Do 2018 have travel in cards for you? Are you thinking to plan atleast one trip in 2018? If yes, I have a very strong reason to make you do it now. 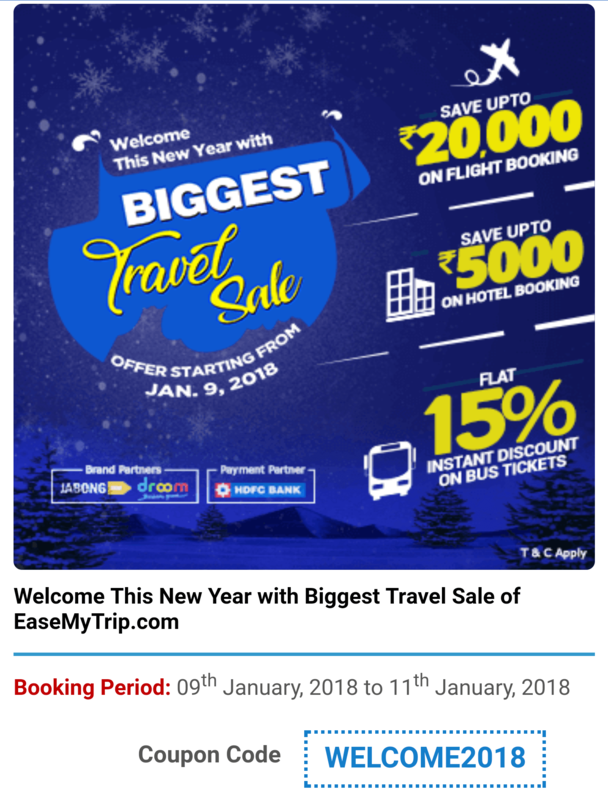 Easemytrip.com is welcoming 2018 with the Biggest Travel Sale. EaseMyTrip is giving upto Rs.20000/- flight discounts to make you fly more, Upto Rs.5000/- discount in hotel booking to make your stay more pleasant and 15% discounts in bus booking for the love of roads. The offer is valid just for 3 days starting from today i.e. 9th January to 11th January. Applicable for both existing and new customers. Use Coupon Code : WELCOME2018 to avail all these exciting offers. And thats not all, you also get a chance to win Activa from Droom, Rs. 50,000 Exclusive Vouchers from Jabong and Gift Vouchers worth Rs. 8000 from various brands. 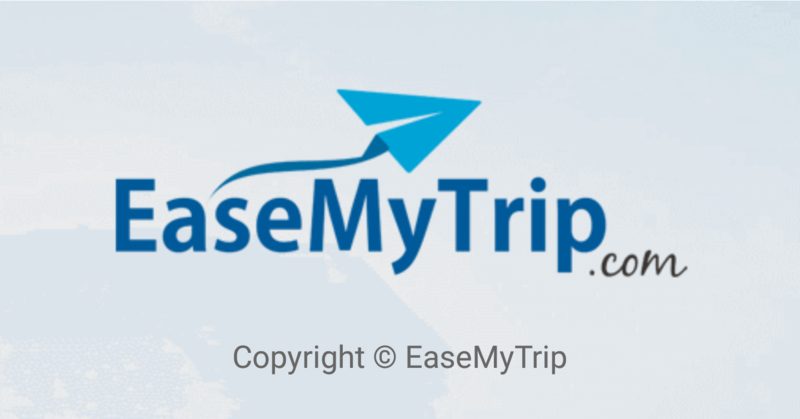 You can avail all these offers and make bookings via EaseMyTrip’s website, mobile site, Android & iOS App. Apart from amazing discounts, you can also get additional cashback when you book using HDFC debit cards or retail credit cards. Get Set Go, Plan your trips to live moments and create memories.